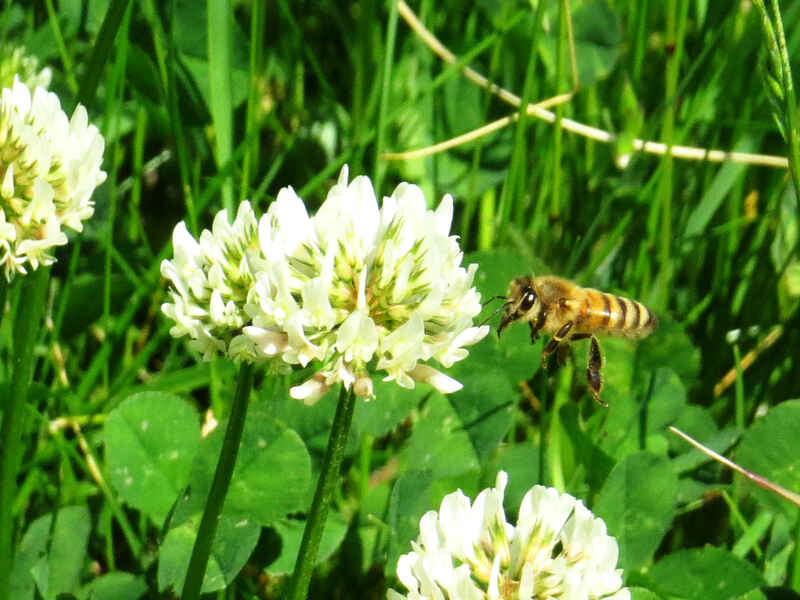 I originally took this week’s photo of a bee in flight over a clump of clover flowers at the end of May, and posted it on GBG365 on 3rd June 2014. It’s hard to deliberately catch a bee in flight, so I’m not going to pretend this photo is much more than a result of happy chance. I did see a bumble bee working this patch of clover and I pointed the camera at it. But between the pointing and the focusing I lost the bumble. I didn’t find the regular bee till I was looking through the day’s photos on a computer screen. I suppose this photo could have been snapped anywhere, but I actually took it in the park at Färjenäs on Hisingen in Gothenburg. Things have swung back. The failure of Sweden’s shipbuilding industry lead the city to invest in new technology industries and new housing estates. They’ve tidied up the park now and families with children walk here and play where, for a time, junkies used to to barbecue and shoot up. For other photos from nearby go here and here. 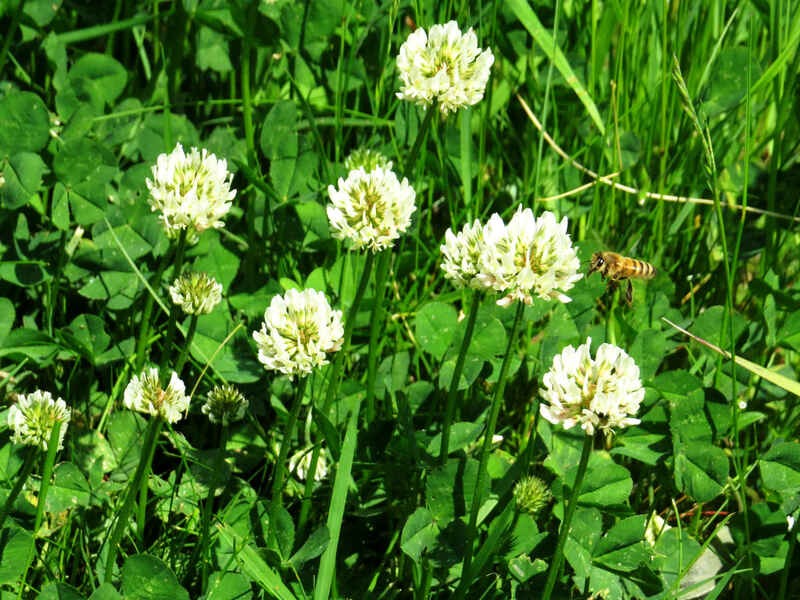 May your summer be spent in clover! Can’t see the bee? Look at the detail crop below.